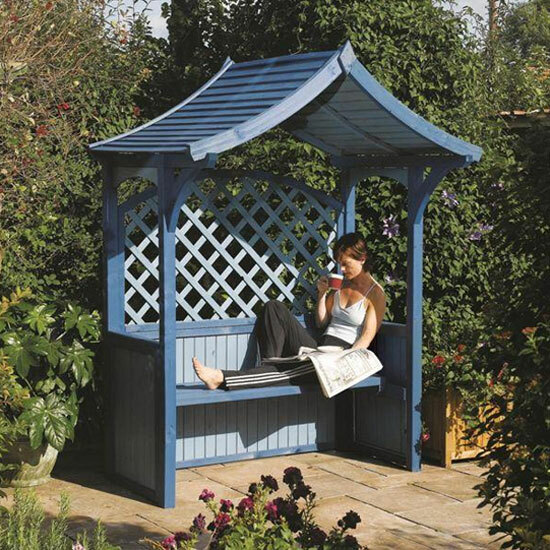 With attractive metal detailing, small diamond shaped windows and a closed back, this Arbour gives an enclosed cosy feel, perfect for romantic summer nights or a shaded place for relaxing in the sun with a newspaper or good book. 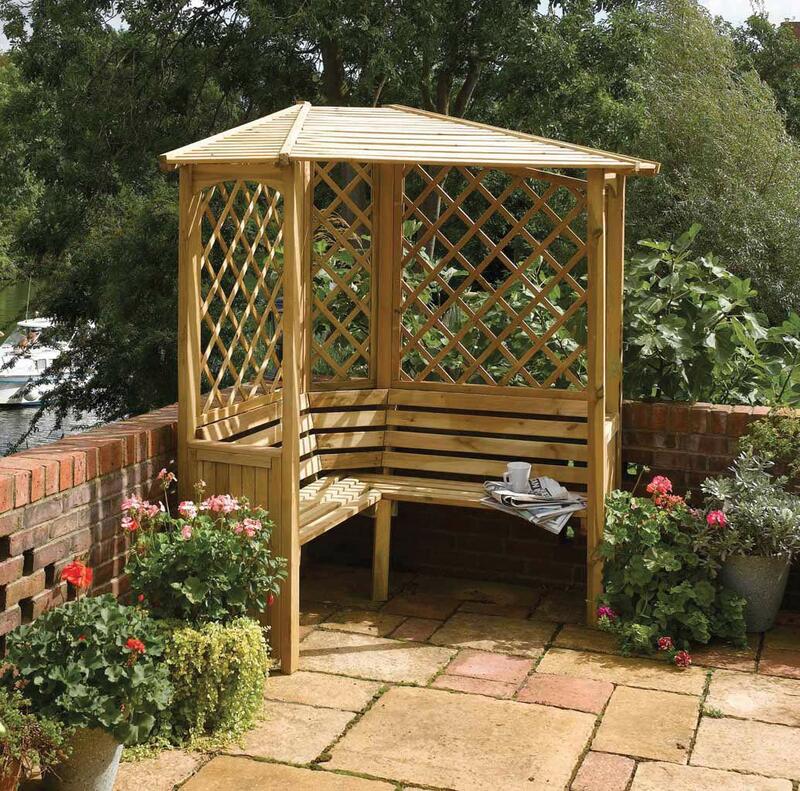 Fits in any right-angled corner. 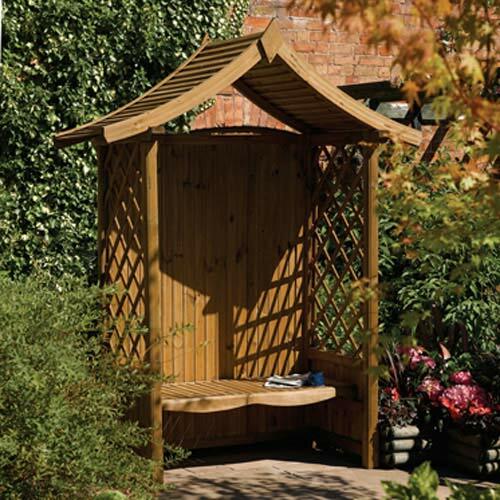 This arbour has attractive metal detailing in the windows, (no glass), along with a natural wood finish (FSC hardwood). 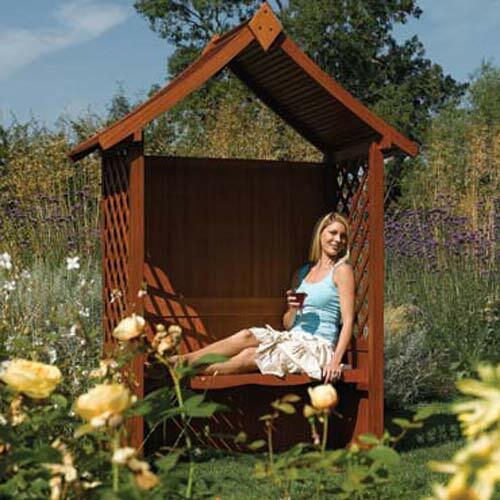 D173cm x W250cm x H250cm. 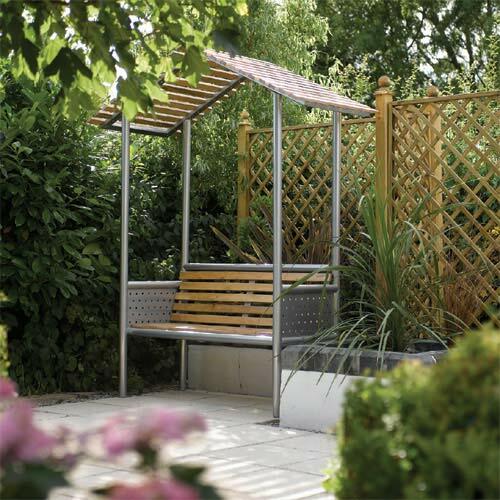 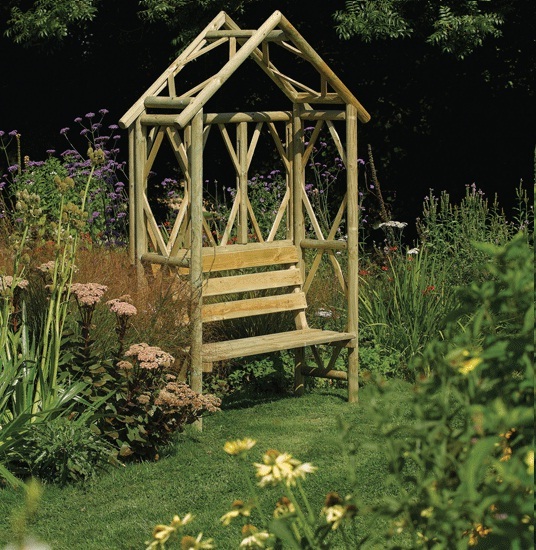 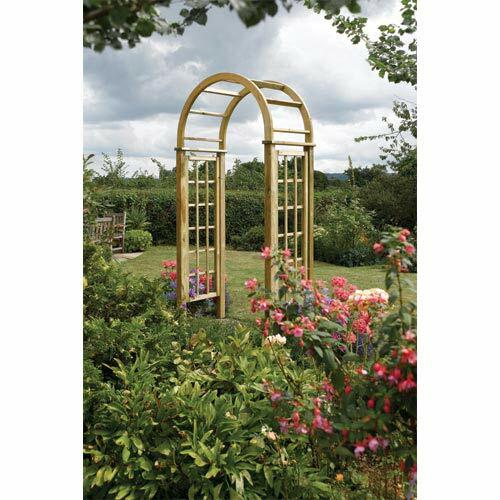 Bring a touch of refined class and New England splendour to your garden with this beautiful Winchester Arbour. 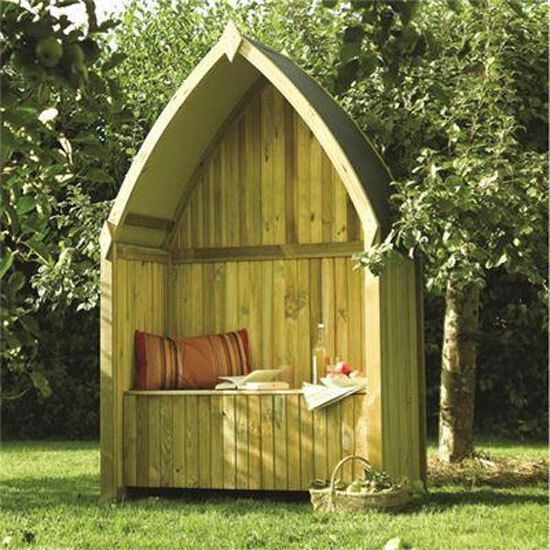 Hide away your cushions and throws for cooler late evenings in the secret storage area under the seat. 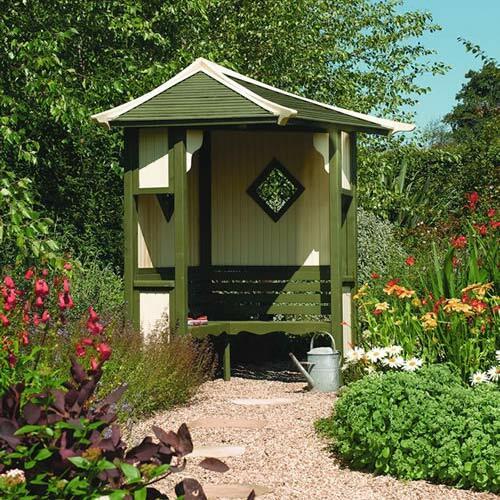 The metal roof and natural timber finish make this such an eye-catching feature in any garden.Dimensions:D70cmxW139cmxH213.5cmProduct supplied in a Natural Timber Finish which can be painted or stained as desired.